Fusarium wilt, caused by the soil-borne fungus Fusarium oxysporum f. sp. cubense (Foc), is regarded as one of the most devastating diseases of bananas globally. Foc consists of three races, of which Foc races 1 and 2 occur in India. Foc race 4 has not been found in the country despite the importance and extensive cultivation of Cavendish cultivars. In 2015, a banana grower from Barari village in the Bihar State of India reported the wilting of Cavendish banana cvs. Robusta and Grand Naine. The incidence of the disease ranged from 2 to 26.6%. Symptoms included yellowing and browning of older leaves, which progressed from the oldest to the youngest leaves. Samples were collected from pseudostems and the responsible fungus isolated. The cultures were then identified using fungal morphology, vegetative compatibility group (VCG) analysis, volatile production and PCR with Foc tropical race (TR) 4-specific primers. Pathogenicity tests were conducted using Grand Naine plantlets produced by micropropagation. The cultures were identified as volatile-producing F. oxysporum strains, and pathogenicity tests confirmed their status as the banana pathogen Foc. VCG analysis, and the use of race-specific PCR markers, identified them as members of VCG 01213/16 and Foc TR4, respectively. This indicated that the fungus responsible for Fusarium wilt in the Bihar state of India is Foc TR4. Most Indian farmers use suckers as planting material, and are not aware of the impact of the disease. If the disease spreads to other states in India it can lead to an unemployment problem for farm labourers and the change in production to non-remunerative crops that may reduce profits. We thank the Director of ICAR-NRCB for providing the necessary facilities and guidance to carry out this research. Damodaran, T., Mishra, V.K., Jha, S.K., Gopal, R., Rajan, S. & Ahmed, I. (2019). First Report of Fusarium wilt in banana caused by Fusarium oxysporum f. sp. cubense Tropical Race 4 in India. 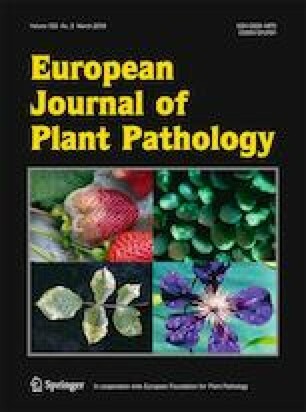 Plant Disease "First Look" paper. https://doi.org/10.1094/PDIS-07-18-1263-PDN.